A privacy coin is an anonymous form of cryptocurrency that protects the user’s identity. A lot of cryptocurrencies like Ethereum, Bitcoin, etc., leave your transaction details in the network, which means that anyone can look up to your wallet address and can see all your payment details. If someone knows you are the owner of a specific bitcoin address, he can check whenever he wants how much coins you have, and see all the transfers you are making, etc. The privacy coins come here to protect you. They are a great way to privatize your identity online and keep you anonymous. How Cryptocurrencies relate to Private Coins? According to most of the people, Cryptocurrencies are private currencies because the user has an address that does not match their name, unlike a bank account where you can find the name of the owner of that bank account holder. The cryptocurrency does not link our name to our identity. There are some rules about cryptocurrency that are very transparent, such as, all the transactions of the cryptocurrency are recorded on the network, and you can trace that transaction history all the way back to a point when that crypto coin was just made. This means that when you receive a crypto coin from someone, you can trace back where they got that bitcoin from, how much bitcoin a person has in their wallet, and even where the funds are going to. This is scary because if they find out that you have a lot of bitcoins in your wallet, maybe you become more vulnerable to hacking. If you have a business, then you may potentially reveal who you are trading with, what you are receiving, your incomes, profits might reveal some of your trade secrets. Therefore, it is very important to keep your privacy. There is a way around in which you can use different wallets, but it is complicated. People who might want to use cryptocurrency may not like to give this information away. This is why there are different ways to keep the transactions private. There is no best solution; all come with their advantages and disadvantages. This is why so called “Privacy Coins” have been created, to resolve the privacy issues encountered with mainstream coins. When it comes to online spending, the privacy coins have huge potential. Some of the privacy coins include Monero (XMR), DeepOnion (ONION), ZCash (ZEC), NAV coin (NAV), Spectre Coin (XSPEC), Zero (ZER), etc. Given below are the five prominent reasons why privacy coins are going to be a big deal in 2018. People want to protect their privacy online when it comes to money, especially. There would be a huge demand for privacy coins in 2018, that means the prices are most likely going to soar. 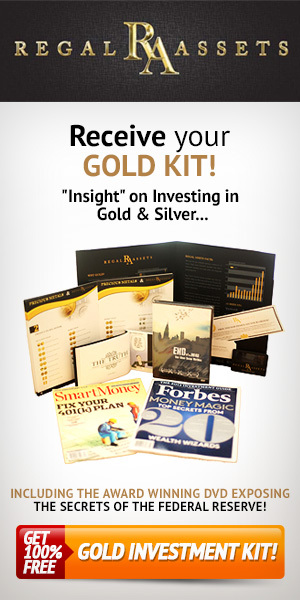 With cryptocurrencies like Bitcoin, Ethereum, Litecoin, etc. that are in the mainstream, people can easily track your transactions and payment history. People want to hide their identity when it comes to their own money. Privacy coins will fix this problem because they help you stay anonymous. Some of the people who are buying drugs, pirating material want to protect their identity and stay as anonymous as they can, and they will always create demand for anon coins. A privacy coin is a coin that can help you avoid the eyes of preying governments, as authorities cannot see how much money you are storing in your wallet. In countries with abusive governments, hiding your assets may be essential for safeguarding ones fortune. The privacy coins are usually cheaper, faster and far more innovative than the outdated cryptocurrencies like Bitcoin, because they have improved on the technology. Many people prefer privacy coins over outdated cryptocurrencies, like Bitcoins, etc. Monero has become an already favorite over Bitcoin on the dark web, and this trend is suspected to continue in 2018. They are cheaper and technologically more advanced and fast then the conventional ones. Below we will present five popular privacy coins that are currently undervalued and will most likely soar in value in 2018 and beyond. 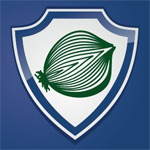 DeepOnion is one of the newer privacy coins on the market as it was created in 2017. However, it has more potential than most altcoins because it uses very good technology, it has an active development team and the strongest community in the altcoin world. Why is DeepOnion worth investing in? 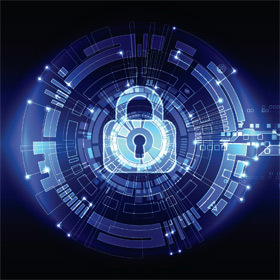 The first and the foremost advantage of opting for DeepOnion cryptocurrency over other conventional cryptocurrencies is that it offers 100% privacy, which is not the case of older crypto currencies. DeepOnion hides the IP addresses of the users, thereby protecting the identity at best. They make use of TOR software to make your payments anonymous. You are not at all traceable, nor the transactions that you ever made. Unlike the other crowded cryptocurrencies, such as Ethereum or Bitcoin, where the networks are crowded and transactions take a longer time to finish at higher costs, DeepOnion is very fast and convenient in use. The beginner will get used to it very quick and will be impressed with the speed and cost of the transactions. DeepOnion is technologically advanced compared to conventional cryptocurrencies and the team behind its development is working hard to add new features and improve it even more. This is why DeepOnion is going to be one of the most advanced coins in terms of technology in the near future. DeepOnion has the most vocal and active community in the altcoin world, and this will help it achieve its goal of increased adoption. A large community is essential for a coin to be successful. DeepOnion is still cheap, because it is a newer coin, but the price will increase with time. The time to buy it is now, while you can still get it at a low price. Once it goes into mainstream, the price of Onion will go to the moon. DeepOnion has lower fees compared to the transactions of other cryptocurrencies, such as Bitcoin, Ethereum, etc. This is how DeepOnion stands out among all the old and new cryptocurrencies. You will not find a single disadvantage attached to DeepOnion. Everything about it is just amazing, and one day everyone will be buying it for its features and community that is working in it. 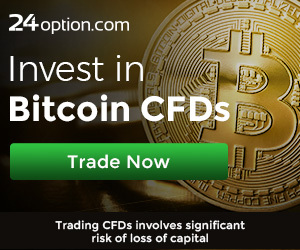 Why not invest in DeepOnion? There is no objection that we can put on DeepOnion cryptocurrency, except that it is similar to other cryptocurrencies in terms of volatility and risk. Investing in cryptos is risky, and even the greatest coins with huge potential come with some risks. You can buy DeepOnion on Cryptopia. NAV coin (NAV) just like DeepOnion, is a very fast and efficient modern privacy currency. Why is NAV coin (NAV) worth investing in? There are multiple reasons why NAV coin (NAV) should be on your priority list when you are planning to enter the new and advanced internet currency world. Here are some reasons given below. The identity of the user is essentially unidentifiable; this is what NAV coin (NAV) offer to its users. The transactions in NAV coin (NAV) can be completely unidentifiable as you can choose to have them shuffled in a secondary blockchain. This destroys every trace that can help someone to track the transactions made through it. NAV coin (NAV) offer advanced features that include the use of TOR network, just like the DeepOnion privacy coin. NAV Coin is already available on Changelly, which make the whole process of buying and selling NAV Coin (NAV) easy and quick. NAV coin (NAV) helps to make the transactional process transparent and completely anonymous. The network of the transaction is impossible to track down by anyone. This is the reason why it is very hard for users to get hacked. NAV coin (NAV) is a very quick system that ensures that the transactions are transferred in few seconds. Compared with the traditional, outdated cryptocurrencies, the user need not wait to get their transactions done. Also, the cost of sending them is low compared to other coins. NAV coin (NAV) is technologically advanced and works very well, but the price is still low because the development team has focused on technology and not on marketing. However, good technology will come on top eventually, and buying NavCoins while they are still cheap is a good idea. What are the possible issues with NAV coin (NAV)? 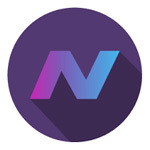 Some people are worried about the fact that NavCoin is here for some time, but the price has not exploded yet. This is because there is insufficient marketing for this coin, but this is going to change in the future as NavCoin users have voted for a community fund that will increase the marketing budget. You can buy NAV Coin on Changelly, Cryptopia and Binance. Spectre Coin (XSPEC) is technologically advance crypto privacy coin that is bringing ease for its user with time. It is introducing innovative features. The user ratio of Spectre Coin (XSPEC) is increasing at a very high rate. Given below are some of the advantages of investing in Spectre Coin (XSPEC) privacy currency. Why is Spectre Coin (XSPEC) worth investing in? Spectre Coin (XSPEC) bring 100% privacy for its users, as any transaction that is made through this network cannot be tracked down by anyone. All the traffic of transactions is hidden from everyone, except the owner of the account or wallet. The Spectre Coin (XSPEC) is completely up to date privacy coin. It has all the new features DeepOnion offers. Unlike other cryptocurrencies, it is not at all one that has a slow and vulnerable network. It uses the TOR network that makes the transactional data completely anonymous. The person or the amount of Spectre Coin (XSPEC) possessed by him, or she cannot be tracked down. This was one of the greatest disadvantages of older internet currencies. Spectre Coin (XSPEC) provide a very low-cost system with very low fees. Also, the transactional process is very smooth and quick that saves the power of the user, and in return fewer expenses. Reasons to why not invest in Spectre Coin (XSPEC)? Spectre Coin (XSPEC) does not have much adoption yet, and it is important for the team to deliver on the roadmap in order for the coin to progress. Being a small coin, it is very volatile. While a very solid coin from a technological standpoint, it does not have such a big community like DeepOnion, and doesn’t have much marketing. 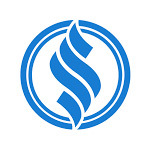 You can buy Spectrecoin on Cryptopia . Monero is the most famous privacy coin that you can invest in 2018. It benefits from being the largest and most used privacy coin. Why is Monero (XMR) worth investing in? It is a secure system, that is, there are no chances that anyone can hack your Monero (XMR) coins by any means. There is no record of it on any ledger, so no one knows how much you have in your Monero (XMR) wallet and how much you are receiving or transferring. It is also very fast in its operations, that is, it’s buying and selling, an as well as generation take very short time. This is why it is a favorable option for 2018. The transactions of Monero (XMR) are not traceable. So, it is just like you own your bank and that you are the only person who knows about the transactions that are made. 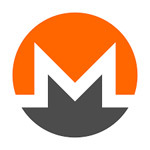 Monero (XMR) is a fungible currency because it is unauthorized by any government person, it is private by default. Therefore, the senders or receivers do not have any fear of getting blacklisted. What Is The Bad Aspect Of Monero (XMR)? There are a few reasons why to stay away from Monero (XMR). Since Monero is the current market leader among privacy coins, there is more risk to the price in the case other privacy coin gets more adoption. You can buy Monero on Changelly, Cryptopia , Binance or any other major exchange. Another privacy crypto currency with good potential is Zero (ZER). It has a simple system of generation. Also, it is not very costly as compared to the other crypto privacy currencies. Why Zero (ZER) Is Worth Investing In? Zero (ZER) is a cheap privacy coin with a low market cap. This is why it can grow in value very easily. Just like all other cryptocurrencies, it is also decentralized, that is, no such authority is controlling it. Zero (ZER) is very similar to ZCash, but it is much cheaper. While ZCash benefits from increased adoption and name recognition, the technology behind the two coins is the same. The difference in price between the two is huge, so there is more upside potential for Zero than it is for ZCash. Why not invest in Zero (ZER)? One of the negative points about Zero (ZER) is that it is very new in the market and nobody knows if it will manage to develop into a successful cryptocurrency. It is a good currency, but it is completely unknown. This problem is constant for all type of cryptocurrencies, so the same goes for Zero (ZER). The only way to use Zero (ZER) right now is to exchange it on Cryptopia. 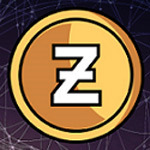 You can buy Zero on Cryptopia. If you are planning to invest in any crypto coin in 2018, please research first. You must be prepared for any circumstances as all the cryptocurrencies are highly volatile, so be careful and make a rational decision after evaluating all of the cryptocurrency options available in the market. Just do not invest in one crypto coin because someone recommended you or you heard in a video about the advantages that a particular coin has.